The state of transformation in corporate South Africa will be the focus of a gala dinner to be held on Friday next week by the Black Management Forum. The Black Management Forum (the BMF) which is at the forefront of transformation within Corporate South Africa met with ABSA Group CEO, Ms. Maria Ramos and some her executives on Thursday, 25 May 2017. The meeting follows the walkout of black professionals at ABSA Capital’s staff meeting after Phakamani Hadebe was overlooked for a promotion to head the CIB business. The BMF sought to understand the circumstances surrounding Hadebe’s resignation and to discuss the broader lack of transformation at ABSA. As the BMF, we have been very intentional in our focus on the composition of executive teams and company boards with regards to gender and race as we believe that gate-keeping is sponsored from the very top, leading to transformation being undermined and ultimately reversed as is the case at ABSA currently. Dismal Board and EXCO representation of Black Executives, and the general lack of transformation in senior teams managing key ABSA business units. The concentration of business power in the hands of a single executive, Mr. David Hodnestt’s who, in addition to his ‘double-hat’ roles as Deputy Group CE and CEO of SA Business Operations, is now - even if temporal - a Head of CIB and a Head of Retail and Business Banking. We asked if ABSA had no other executives to fill these roles and whether SARB is comfortable with Mr. Hodnestt’s many roles that clearly pose salient risks. The growing trend in Corporate South Africa’s apparent preference of foreign nationals over South African nationals and black South African nationals in particular, even on businesses that derive a large part of their earnings in South Africa. Firstly, Mr. Molefe himself stated that his resignation from Eskom was in the best interest of good governance. His return to Eskom before being cleared on the allegations that made him leave then nullifies good governance. Secondly, the process of finding a new CEO was still underway. What legitimate reasons on this reappoint will be given to the candidates who were subjected to the process? Thirdly, the Board of Eskom has clearly breached its fiduciary duty. It did not act in the best interest of the company since its decision puts the individual ahead of the entity. We are now questioning all its other decisions. Finally, the BMF will seek a meeting with the leadership of Eskom to engage on this matter. In addition, the BMF will request a separate meeting with Minister Lynne Brown to engage on this matter and other related matters. The Black Management Forum (the BMF) which is at the forefront of transformation within Corporate South Africa is disappointed by Corporate South Africa’s continued disregard for transformation. During the Commission of Employment Equity report launch this morning the Commissioner confirmed that the reason why transformation continues to be dismal is because CEO’s do not regard transformation as a business imperative. During engagements that the Commission had with business last year, CEOs were invited but instead sent Human Resources Executives as company representatives to be part of these important discussions. “This demonstrates CEO’s disregard for transformation. The Commission today confirmed what we have been saying all along that the private sector has been subscribing to minimalist approaches as far as the implementation of transformation in concerned,” says Mncane Mthunzi, President of the BMF. As per the 17th Commission of Employment Equity (CEE) report the Economically Active Population representation for Africans is 78.0% vs. 9.5% for Whites yet the stats tabled today show that African representation at the top management level is 14.4% vs. a 68.5% White representation. The 16th CEE report depicted a 14.3% African representation and a 68.9% White representation at this level. This isa 0.1%increase in African representation and a 0.4% drop in White representation. “It is totally unacceptable that the statistics at this level are showing these numbers. This displays lack of willingness to transform by Corporate South Africa”, Mthunzi continued. The report reveals that there are 41.5% Professionally Qualified African vs 37.5% for Whites and yet these statistics do not find expression in the recruitment patterns of companies. The report reveals that recruitment opportunities continue to favour Whites at 40.2% vs 35.7% for Africans. We are stagnant particularly when it comes to top management positions. There are a number of gate keepers within Corporate South Africa that are not aligned to the project of a non-racial; non-sexist democratic country, they don’t understand the rationale and the bigger picture of what needs to be done to achieve the much needed socio-economic transformation for a more progressive South Africa. 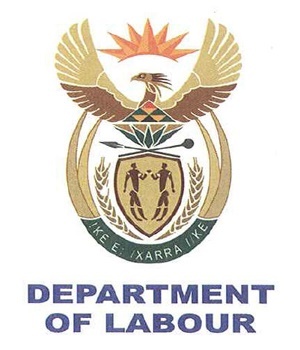 Albeit the dismal numbers, the BMF is encouraged by the recommendations made by the Commission of Employment Equity to the Minister especially the promulgation of section 53 of the Act, failure of which will prevent companies from doing any business with the state. “It is clear that self-regulation by companies has been a failure and the proposed punitive measure is a step in the right direction. Our call for the Employment Equity Tribunal still stands because until there are consequences for lack of compliance, transformation will remain an illusion”, Mthunzi concluded. On Monday, 8 May 2016, the Black Management Forum (the BMF) woke up to the tragic news of the passing on of its former President, Mr George Negota. Mr Negota passed away on Sunday, 7 May 2017 in Johannesburg. Mr. Negota was the BMF President from 1984 - 1986. Between 1981 and 1986, the BMF recognised its responsibility to deliver services to its membership and raised funds to achieve this objective. With the support of the Paris Chamber of Commerce, the Swiss Institute of Management Development and the South African Board of Directors, the BMF began offering management leadership programmes. During his presidency, the BMF broadened its reach establishing regional structures across the country. Previously it had been a Transvaal (now Gauteng) based organisation.